Lights Camera Action...! : Anyone for Tennis? 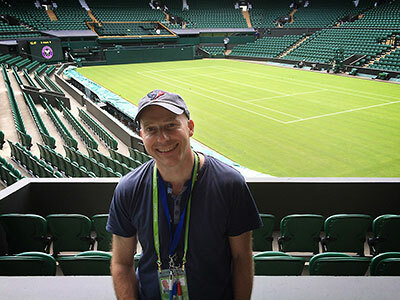 First time on Centre Court at Wimbledon..! 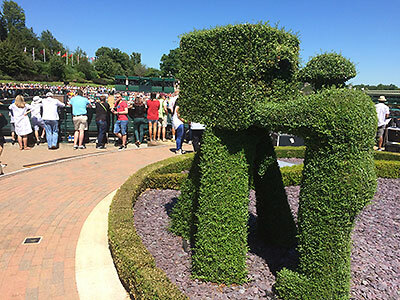 Up on the broadcast centre roof, a rather clever bit of hedge trimming. 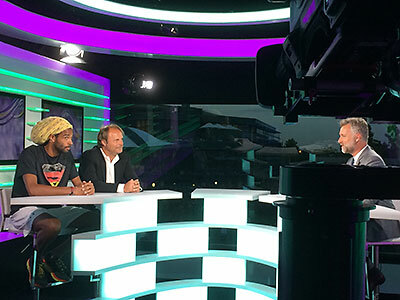 We had the honour of Dustin Brown coming to visit our studio after his win over Nadal in the second round. English born presenter Darren Tulett who now works for BeIn Sports in Paris, leads the chat. Gael Monfils and Gilles Simon move from No. 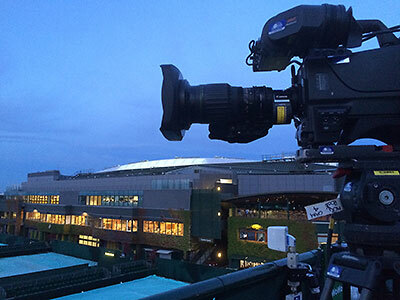 1 court to the Centre Court after bad light stops play on the Saturday night in the third round, and continue with the roof closed and the lights on.